Case studies have been written on many farmers putting EverGraze principles into practice. The pages below provide stories from farmers in the south west slopes NSW region describing what changes they have made to their farming enterprises and the impact on their business and lifestyle. Holbrook Chris Mirams Integrated system provides climate buffer – Chris Mirams The highly variable seasons of recent years have prompted Woomargama Station manager, Chris Mirams to scrutinise his feedbase. Holbrook Chris Mirams Native pastures prove their value – Chris Mirams Integrating native pastures into the overall rotation system is helping Chris Mirams, Manager of Woomargama Station and Chair of the EverGraze National Advisory Committee, to utilise pastures. 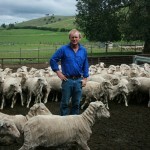 Ladysmith David Strong Increasing perennials improves production and profit – David Strong Since 2004, David Strong and his family have been involved in some significant projects to create environmental improvements on their sheep and cropping property. Holbrook John & Anne Keogh Implementing whole farm strategies at Holbrook – John Keogh John Keogh set out to implement a grazing strategy which would allow him to run a productive sheep enterprise at high stocking rates. Video: Vicky Geddes Case study A desire to create a stable, yet progressive, production system has lead Holbrook graziers Vicky and Tony Geddes to actively seek information about new perennial pasture options. 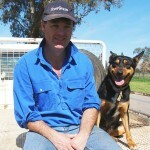 Bookham Chris Shannon Lucerne leads to ‘more legs on the ground’ – Chris Shannon, Bookham Increase animal production by lifting the ovulation rate of ewes grazing the lucerne pastures.